I was finally was able to explore a local antique shop called SilverLeaf Antiques. I had driven past the place several times, subconciously promising myself to come back. So I popped in after covering an event that happened to be around the corner. I was floored at the amount of vintage costume pieces the warehouse like store carried. 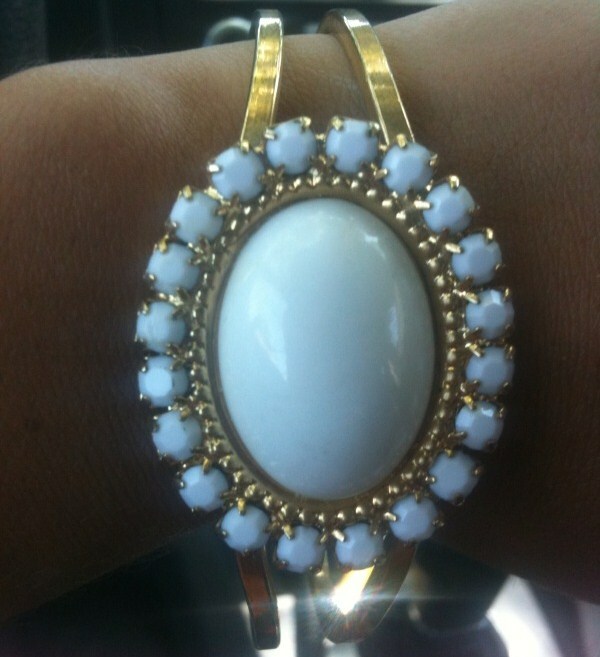 I found a classic little white number to add to my jewlery collection. A simple gold bracelet, the faux white stone-like design is what makes it so timeless.